UN agency for "Palestinian refugees" warns that losing funding from U.S. could be "catastrophic". UNRWA, the UN agency that provides aid to “Palestinian refugees”, warned on Friday that losing significant funding from its largest donor, the United States, could be “catastrophic” for Palestinian Arabs. President Donald Trump hinted last week the United States may withhold future aid payments to UNRWA over what he called the Palestinian Authority’s (PA) unwillingness to hold peace talks with Israel. Later, a meeting took place in the White House discussing the cutting of aid to the PA and to UNRWA. Reports also said that Washington had frozen a $125 million grant to UNRWA, which was supposed to be delivered on January 1, as the U.S. deliberates whether to continue the aid to the organization. 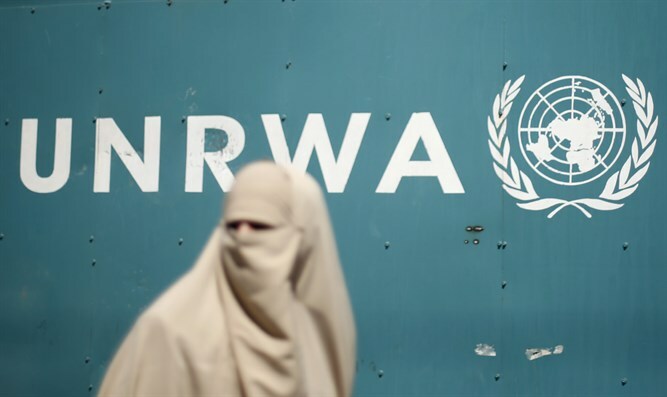 “The human impact of losing significant funding could be catastrophic in the real lives of real people whom the UN is mandated to protect,” UNRWA spokesman Chris Gunness told Reuters in a statement on Friday. “Palestine refugees are among some of the most vulnerable people in the Middle East. Our health services offer a life line, quite literally, to vulnerable women and children, the sick and the elderly,” he added. “Even the most modest shock in a fragile society can have an inordinate impact and the consequences could be profound, widespread, dramatic and unpredictable,” claimed Gunness. U.S. State Department spokesman Steve Goldstein told a briefing in Washington on Thursday that U.S. funding for UNRWA was still under consideration and that no decision had yet been made, noted Reuters. Sweden's UN Ambassador Olof Skoog warned earlier this week that any U.S. decision to withdraw funds to UNRWA would be destabilizing for the Middle East. The Swedish ambassador said he did not rule out raising the issue at the Security Council, which is scheduled to hold its regular meeting on the Israeli-Palestinian Arab conflict on January 25.